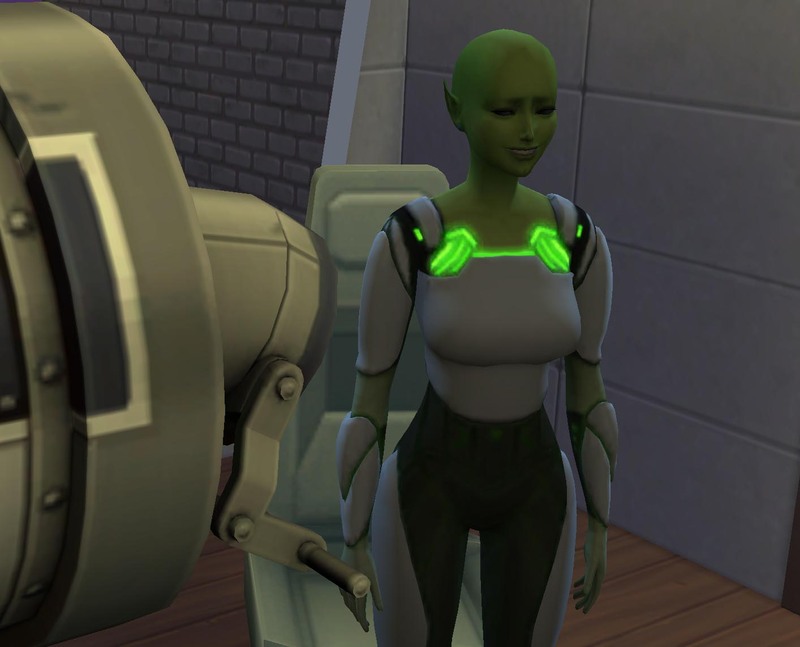 Kale knew that she’d been chosen by The Great Computer and not by Tobacco. Most of the time she didn’t care about that, although there were other times when she totally planned Tobacco’s miserable downfall. “If you just wait long enough she’ll keel over on her own,” one of the friends she sometimes talked to said. “I don’t know if I have the patience,” Kale replied. This conversation took place at the breakfast table after Cabbage rushed off to start his shift. He was half an hour late, so maybe that was why he didn’t say a word to her. 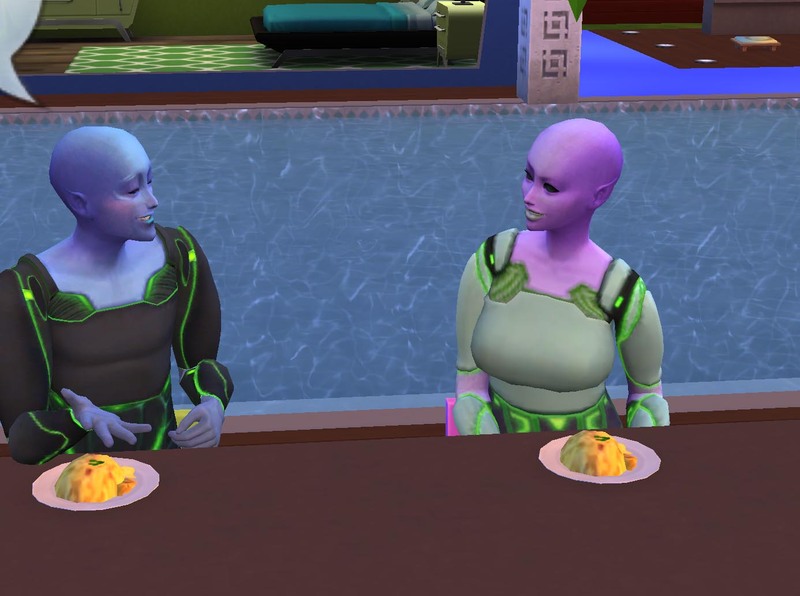 “Well, I do want to have a family some day,” Kale told her friends and spent the rest of the meal trying to decide if Cabbage would make a good husband or not. Morning zoomed by and when afternoon struck Kale was already at the microscope, ready to start familiarizing herself with it. 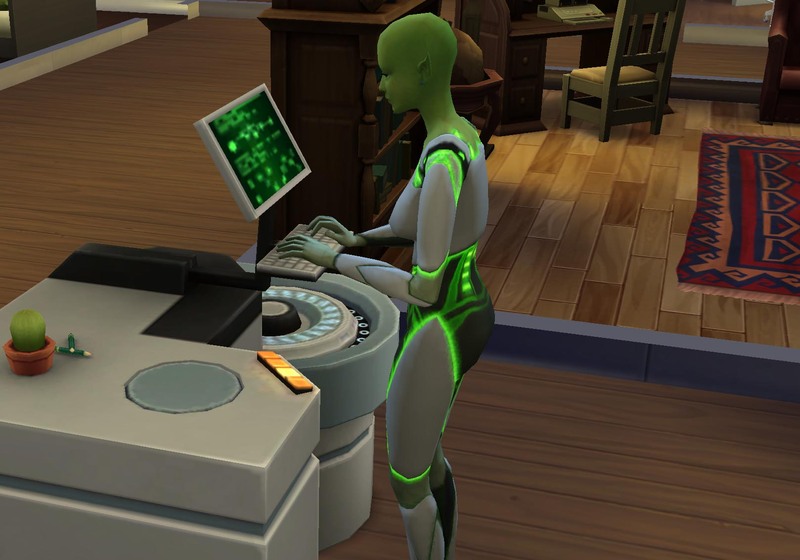 Eventually there would be samples collected from the human sims which needed to be analyzed. Even though she was the assistant lead for the team Kale felt she should be familiar with the use of all the equipment and able to make proper use of it. As she worked she thought of Geranium, the Observation Tech who was working under her on second shift. Geranium loved the outdoors and hadn’t really wanted to go inside the little observation building. 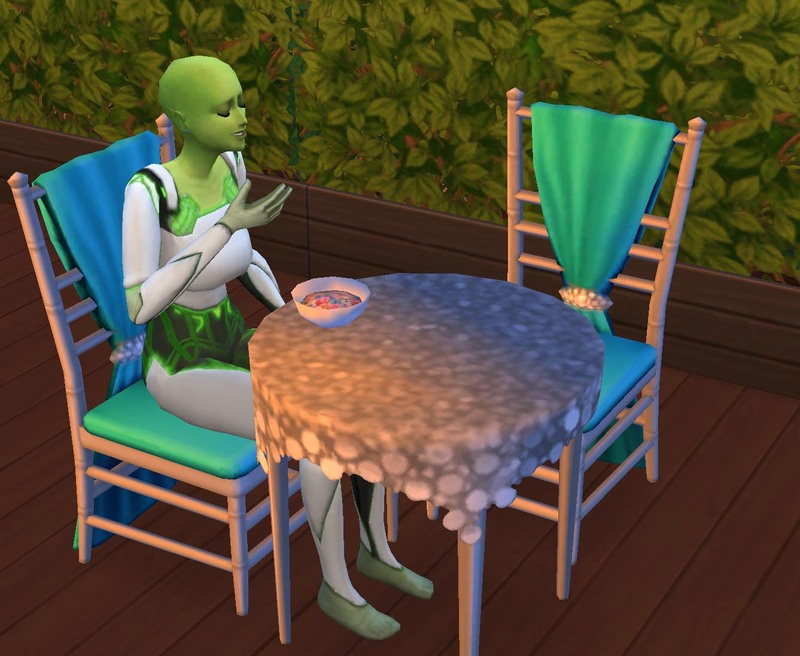 One thing she enjoyed most was seeing the interactions of the human sims outdoors. 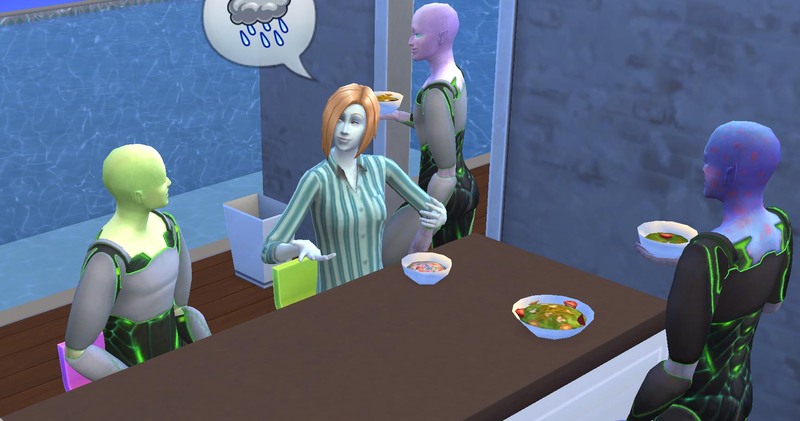 There was something really pleasant about it, but it also made her sad that she couldn’t be outside with them. When Geranium ran in for a mid-shift restroom break she saw Kale hard at work. That made her sad. Tobacco had probably just sat around all day. Why should Kale have to work so hard? In the mean time Kale was now thinking about Sandlewood and hoping that he was making something delicious downstairs. Surely by this time he’d done all the cleaning he could. They hadn’t been there longer than a day yet. She took a deep breath, but there was no way for her to smell his food up on the research floor. She would just have to wait. Sandlewood didn’t really want to be a custodial engineer for long. It wasn’t the job that bothered him, it was the money. He just wasn’t making enough. Not acceptable. He started his day with a delicious bowl of salad. After that he cleaned up all of the dishes laying around. It didn’t take long. There was a problem though, he was covered with strange red splotches. That didn’t stop him from doing his job. He needed the money, more than that he needed a promotion. He started with the chopping and slicing. Sandlewood actually enjoyed the process of cooking and he did it carefully, looking forward to the finished product. Since he was a big fan of food he wanted to make food that everyone would love. Next he got to the actual cooking. 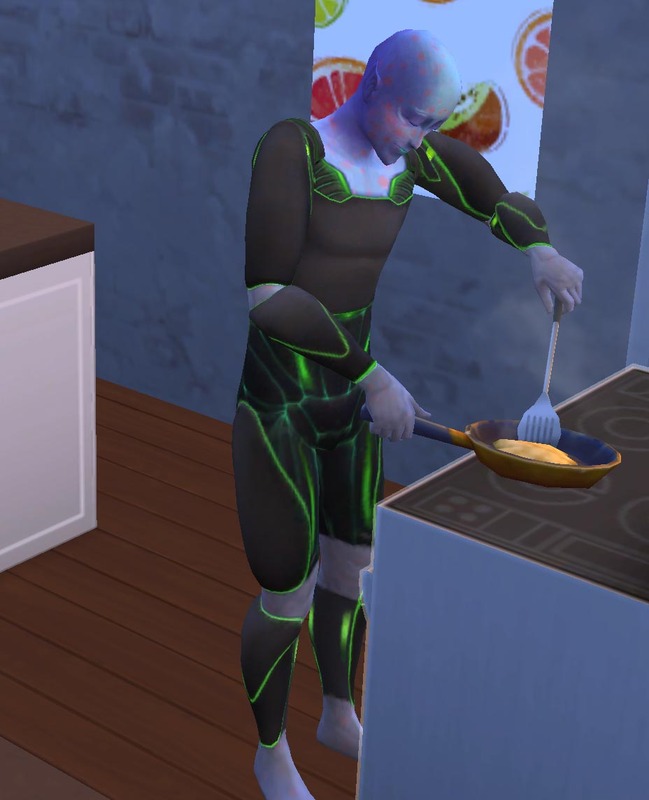 He stood over the stove working diligently to cook it to perfection. The best part of the day came when his shift ended at ten. He sat down with the products of his labor and talked with Geranium for the first time ever. “Hi, I’m Sandlewood. Have we met before?” He loved how bright she looked, and a couple of other things about her too, which he intended to keep to himself. “I just got off duty too!” They even worked the same shift which seemed super convenient. 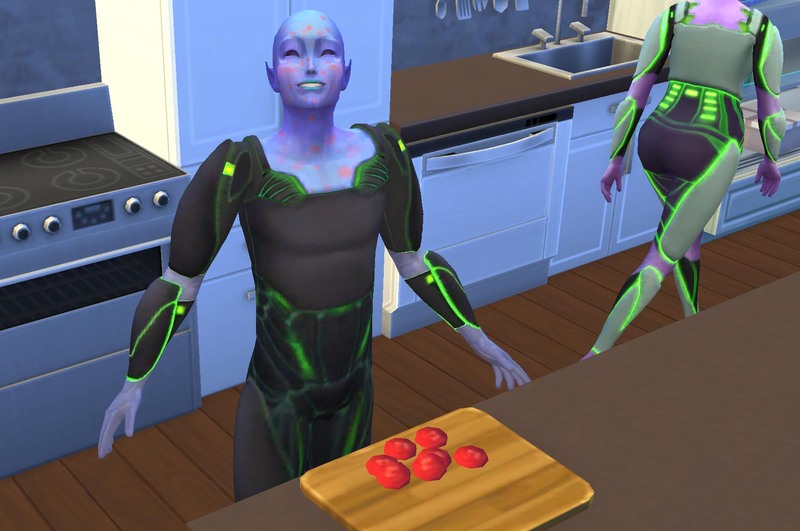 “Does that mean you cooked this amazing food?” Geranium asked. “I did. I’m glad you like it.” Okay, so his job wasn’t terrible. If only it paid more. Sandlewood almost forgot about they pay though, as he enjoyed getting to know Geranium. Kale has an interesting personality– I think I might like her, and Geranium, the best of this whole household. I have to say, I think Cabbage is a bit mean to be a really good husband, but maybe Kale would like him. I’m not playing ahead by much at all on this one, so I don’t know who is likely to end up with who. I like Geranium fairly well too, and Carnation. Kale is fun to write. Mostly, though, I enjoy playing here because the place has so many luxuries. You’ll get to see those later.